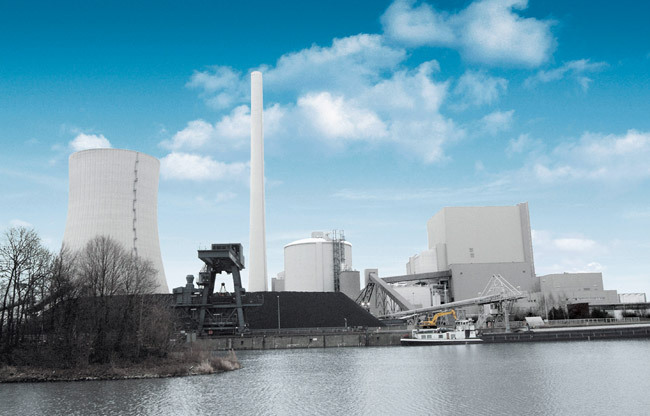 KSB – Your partner for CO2 applications. If industrial enterprises and energy providers are to achieve their ambitious climate protection goals, they will need to find a way to isolate, transport and safely store or process the carbon dioxide they produce. In the pre-combustion method, the carbon dioxide is captured prior to combustion. This involves subjecting coal to high temperatures and high pressure in a gasifier, hence converting it to syngas consisting primarily of hydrogen (H2) and carbon monoxide (CO). In a downstream shift reaction, the CO is converted to hydrogen and capturable carbon dioxide. The hydrogen serves as fuel for generating energy in a gas turbine. 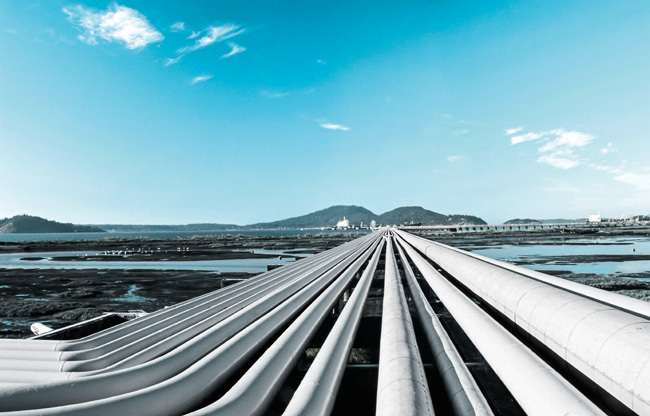 Referred to as the “integrated gasification combined cycle” (IGCC), this process is best suited for new plants. The post-combustion process is a method of separating carbon dioxide out of flue gas from a combustion process. Several different variants are available, and there are physical as well as chemical methods for scrubbing the flue gas. First, the flue gas is relieved of its ash, sulphur and nitrogen oxides and cooled. Then, it is put through a scrubber (absorber), where a solvent captures the carbon dioxide. The CO2-laden solvent is then pumped through a desorber, where heat is added to separate the carbon dioxide from the solvent and make it ready for further treatment. The solvent can be returned to the process. The term oxyfuel derives, of course, from “oxygen” and “fuel”. As the name implies, this method of capture relies on the coal being combusted with oxygen instead of the usual air. The first step, then, is to break down the combustion air into oxygen and nitrogen. Fuel burned with oxygen yields a higher concentration of CO2 in the fuel gas. 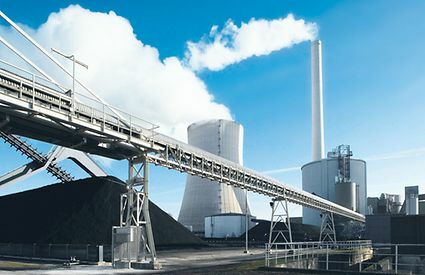 Downstream, the ash, SO2, SO3 and other impurities are removed from the flue gas, and the gas is cooled to such a low temperature, that its water content condenses, leaving behind very pure carbon dioxide that can be captured, compressed, transported and either stored or further processed. Heading toward your ideal solution – step by step: KSB’s CO2 test facility. 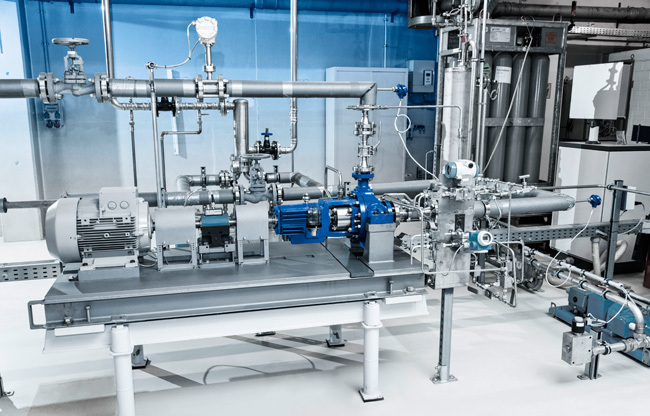 KSB’s CO2 test facility has produced solutions for a broad array of CO2 pumping requirements. The facility’s closed, stainless steel test loop can simulate any number of different situations with a single-stage centrifugal pump and collect valuable test results in the process.